Windows 10 version 1809 is available again (on VLSC) | just another windows noob ? After the well publicized problems with the initial release of Windows 10 version 1809, Microsoft has once again made it available to Enterprises on the VLSC (Volume License Servicing Center) site. It will be released to MSDN at the end of the week. Don’t be put off by the highlighted text though, I guess they will remove that soon enough. So get busy downloading ! This entry was posted in 1809, Windows 10. Bookmark the permalink. 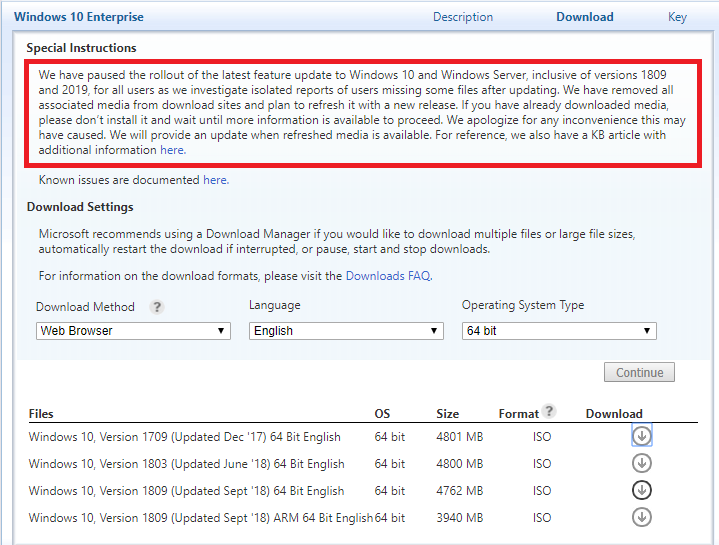 Pingback: Windows 10 version 1809 is available on MSDN (again) | just another windows noob ?